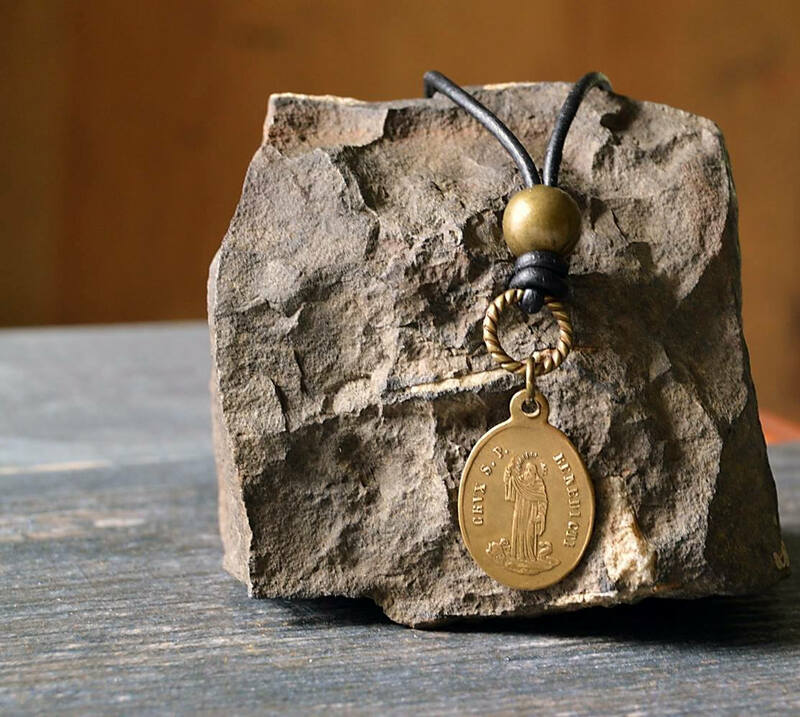 Catholic Men's Necklace in simple, rustic design featuring an antique brass medal of Saint Benedict accented by a brass alloy twisted rope ring and brass bead suspended from a soft black leather cord. 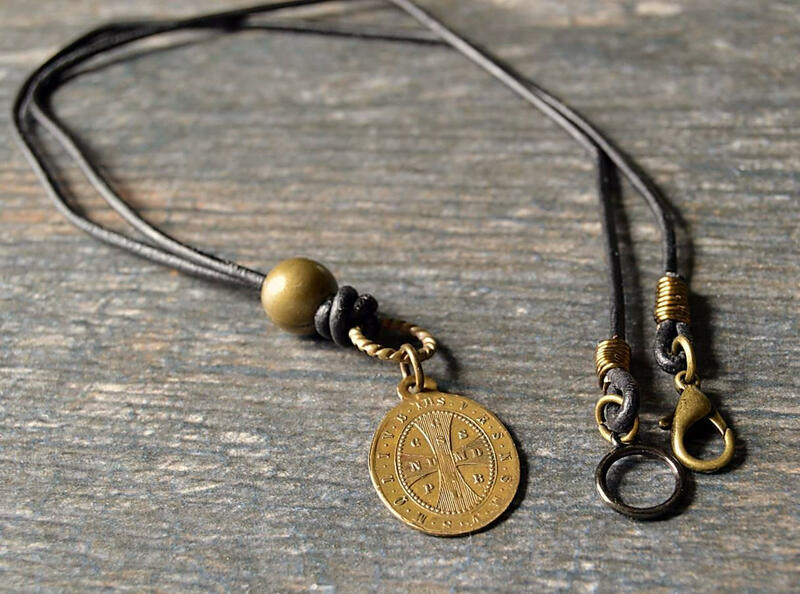 A brass alloy lobster clasp completes the rugged design. 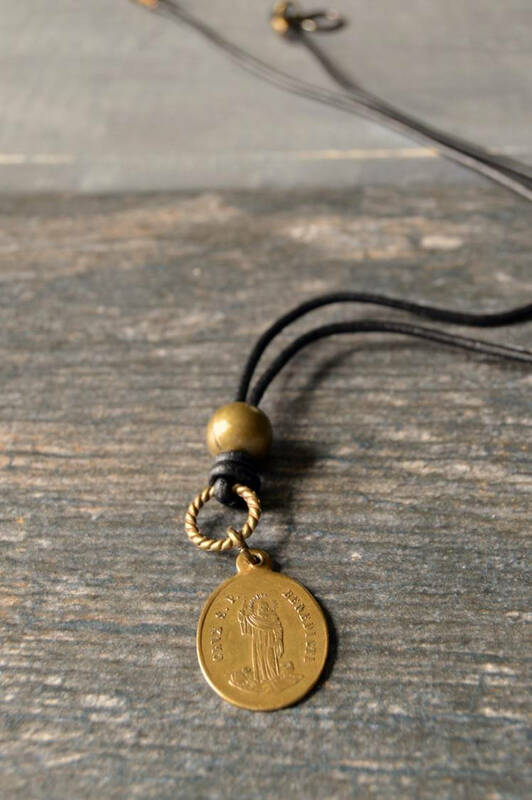 ** My Catholic jewelry expresses my desire to restore the vintage medals to their original beauty as signs of devotion. We never use reproductions. 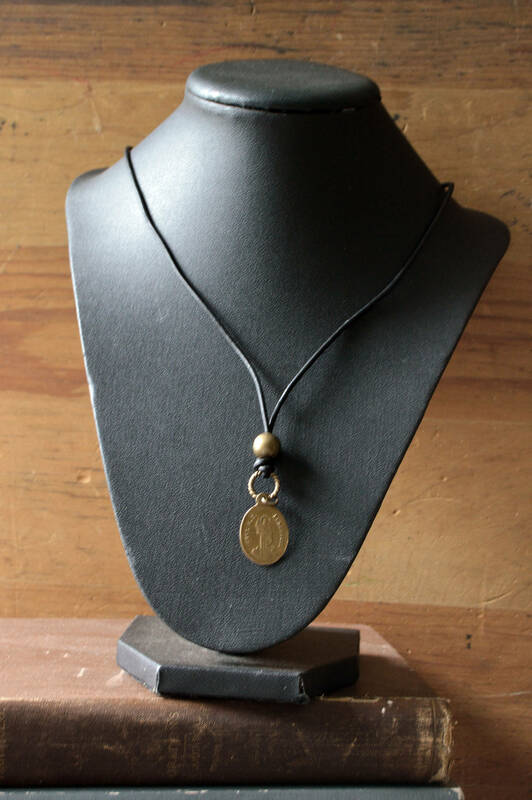 When you purchase my necklaces from Fifteen Magpie Lane, you are purchasing a little piece of Catholic history. For my religious jewelry, I carefully choose my vintage medals with a patina that matches my selected bead colors and styles, and I select chain designs that best feature the vintage look of each necklace. As a special gift for you or for someone you care about, my Catholic jewelry is a perfect addition to your religious jewelry collections, a thoughtful remembrance for a special anniversary, Confirmation gift or a personal expression of devotion.